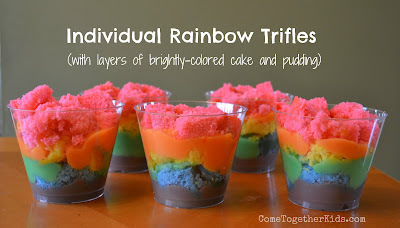 My daughters had some friends over and I made these cute and colorful trifles for their dessert. I made each girl their own individual trifle in a clear plastic cup, but you could easily make a bigger one in a regular trifle bowl. They were a big hit, really yummy, and not quite as time consuming as the Rainbow Cupcakes I made last year. NOTE: This made enough for 10 individual trifles in the clear plastic tumbler cups (with a little bit of cake leftover). Just adjust up or down if you need more or less. Oh, and I just used box cake mix and instant pudding. If you're a "from scratch" person, feel free to use your favorite recipe. 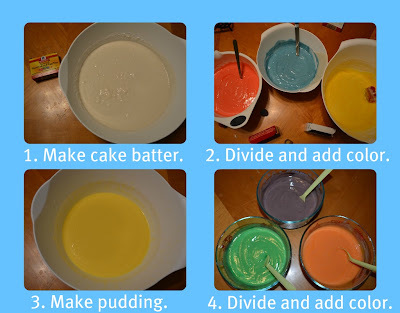 Color your cake batter red, yellow and blue. Color your pudding orange, green and purple. 6. Allow cakes to cool. Trim off the very outer layers of the cake to expose the brighter colors underneath, then cut into cubes. It's not burnt, but it's not as vibrant as the inside. 7. Begin to layer your trifle. Because my purple pudding had a slight brownish tint (since the pudding itself was yellow), I stuck the purple on the bottom. 8. Continue layering... pudding, cake, pudding, cake, until your rainbow is complete! Oh, and here's a quick picture of the happy trifle eaters. Most were already halfway finished before I could even snap the photo! 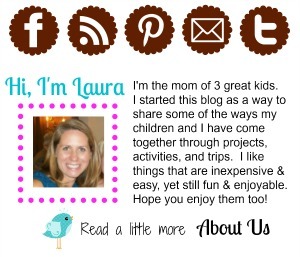 Laura-- you are awesome- Super MOM! And still awake! 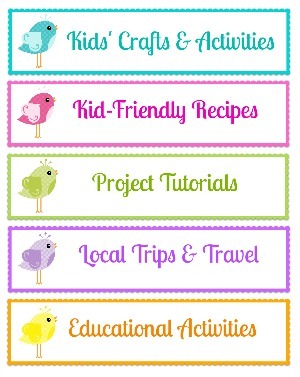 ;) I love this super cute idea! I off to pin it now! TY!! Love it! Pinning now and making it ... tomorrow?! Thanks! These are great! We will have to try them. Just wanted to stop by and say hi, love your blog. That is such a cute idea and way easier than rainbow cupcakes! yummy AND super cute - Audrey would love this. SUPER yummy! Wow, so impressed by the vibrant colors! Came over from I heart naptime... really caught my eye. Would love for you to share at my Tuesday Link Party. That looks so yummy!!! My mouth is watering!!! Thanks so much for sharing with us this week. Hope to see you again! Question... Would it work to color the batter purple & the pudding yellow to stop the purple from looking brown when mixed? Good question! I considered doing that, but I wanted the rainbow colors to alternate between cake and pudding. I was afraid if I switched and did the pudding red, yellow and blue, the red and blue would end up looking orange-ish and green-ish, know what I mean? As it was, the purple didn't look terrible, I just didn't want it on the top where it would be really noticeable. Love this - so cheerful! Yum! 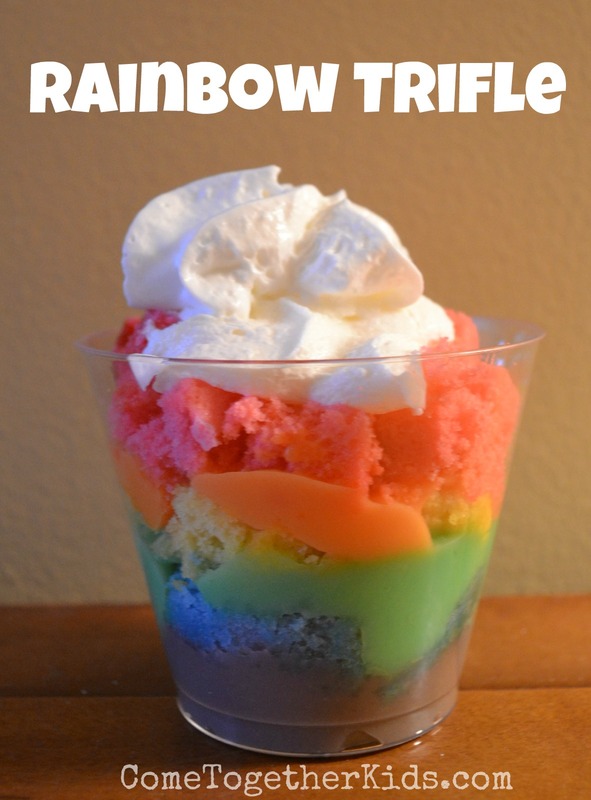 I love rainbows, cake and pudding, so this is perfect. Wonderful creative idea!! TY for the great instructions and can't wait to make. We offer highly professional Network Maintenance and Computer AMC Services. Our support team is highly experienced to help you resolve your issues as quickly as possible. I think in episode 3 "Oathbreaker" Brienne will once again break her oath and Sansa will get killed. But, she will be resurrected as Lady Stoneheart in replace to Lady Catlyn. French Open 2016 Live Streaming: www.frenchopenlivestream.org is going to start on 16th may. We will provide you with french open live and scores. Download happy fathers day images stock photos. Affordable and search from millions of royalty free images, happy fathers day wallpapersphotos and vectors. Thousands of images added daily. French open 2016 Live Stream | French open 2016 | Tickets | Live Scores | Results | Roland Garros Live Stream | French open 2016 Schedule | Live TV | Finals. Superb news and updates you have shared here....totally love the feeling that you have left and the learning that I'm gonna take along with me....thanks mate! pancardstatus now you can check the latest information on the internet to check the pan card status. Nice post. Read about Apps To Earn Money On Android. You will like it.